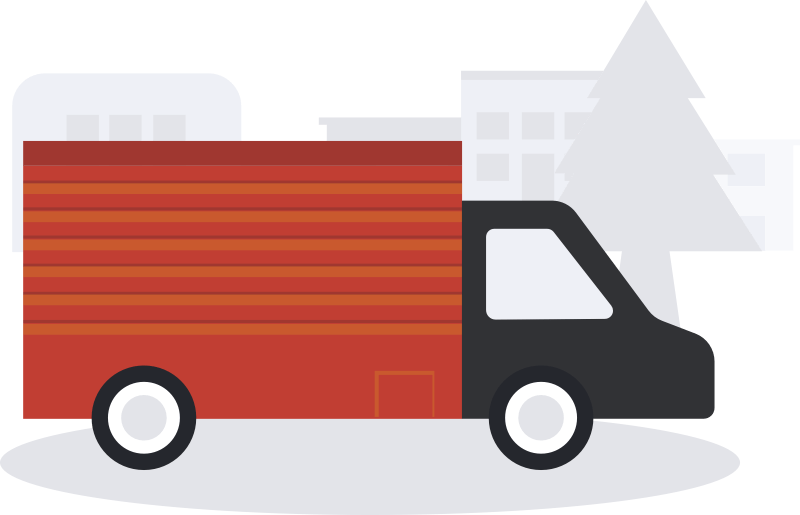 Start deciding on what moving company you are going to use. Obtain copies of school records, or have them sent to new schools. Obtain copies of medical records for each family member. Ask doctors to recommend doctors in your new community. Consult insurance agents to find out if changes to policies are necessary. If you’re packing your house yourself, finish packing boxes. Confirm travel arrangements, if needed. Arrange payment or deposit for movers. Write directions to your new home for the moving company, confirm delivery date, and give the company your itinerary and cell phone number. Get cash to have on hand to tip movers. Complete change-of-address forms at the post office, and send notices to magazine subscriptions, creditors, friends and relatives, alumni organizations, credit cards, banks, and any other necessary companies and organizations. Cancel newspaper subscriptions. Notify your employers — new and old — of your new contact information. Clean rugs and have them packed for moving. Obtain health certificates from your vet for pets traveling by air. Pack suitcases you plan to move yourself with clothes, toiletries, jewelry, and important financial records and documents. If you are using professional movers, let them pack the fragile items, since companies are usually liable only for things they pack themselves. Avoid mixing things from different rooms in the same box; it will make unpacking more time consuming. Clearly label each box with your name, its general contents, an arrow indicating which side is up, “Fragile” if contents are breakable, and which room each box belongs in. Refrain from noting anything valuable, such as silver, on the outside of a box. Assigning color codes to label and corresponding rooms or family members can make un- packing quicker. Use small boxes for heavy items, large boxes for light ones, and medium boxes for every- thing in between. Heavier items should be placed at the bottom, lighter ones on top. A good rule of thumb is that if you can’t pick up a box with ease, it’s too heavy. >When disassembling furniture, put hardware in a plastic bag and affix it to the corresponding piece (however, do not apply tape or any adhesives directly to polished or painted wood surfaces). Never pack flammables or combustibles. Gently stuff cups and glasses with wadded-up packing paper. Wrap stems and handles with paper, crumpling slightly to create padding, and then wrap each entire piece individually in paper. >All china is best packed in cartons made for that purpose. Pack each separately in a box close to the appliance’s dimensions, rather than bunched together in one box. Wrap each appliance with packing paper (and Bubble Wrap if it is heavy or fragile), and fit it snugly into its box. Stuff any gaps with crumpled packing paper. Wrap handles of large objects, such as pitchers, with crumpled packing paper prior to wrapping them individually. To wrap a teapot, wind rolled-up paper around the handle, then additional paper around the spout. Place the teapot upside down in the bottom corner of a stack of packing paper, and fold a few sheets over it until you have a bundle; secure it with tape. Wrap a teapot lid separately from the pot, but put both together in the same box. Wrap knives individually in paper, then in Bubble Wrap. (Or wrap them in protective sleeves designed specifically for knives.) Label the bundles so you’re mindful of the sharp edges when you unpack it. Create a “first-night” box containing essentials. These items, many of which you’ll be using on the last morning in your old house and the first night and day in your new one, can be loaded on the truck last; label the boxes appropriately so that they will also be the first boxes off. Keep in mind that you should always carry valuables, jewelry, and important paperwork with you. It is quite overwhelming to downsize after living in a home for many years. You have items you don’t need or do not have the space for but have a hard time letting go. We can help you declutter your old home and settle into your new residence so you feel right at home. New Horizon Movers can guide you or assist you with all of your downsizing needs. >Decide what furniture you want to keep.